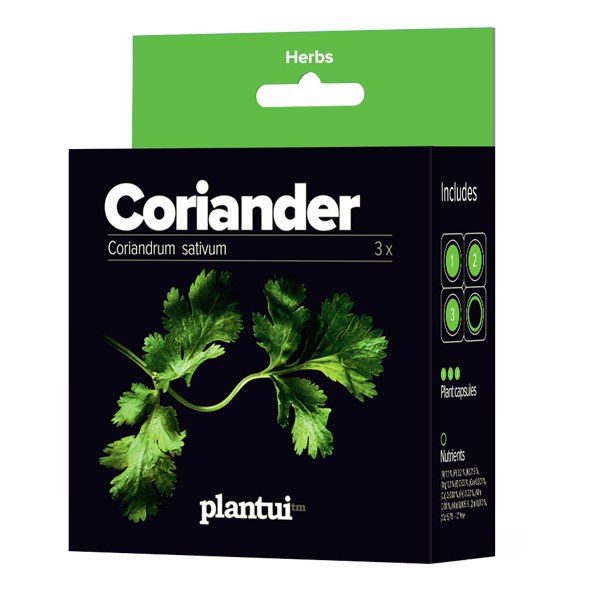 Coriander is a very old herb that grows wild in the warm regions of Southern Europe and the Near East. People have found coriander in the tombs of Egyptian pharaohs – maybe as a snack for the road to afterlife? Coriander seeds also have their place in the Bible where manna is said to resemble the coriander seeds. Coriander is related to parsley and carrot. 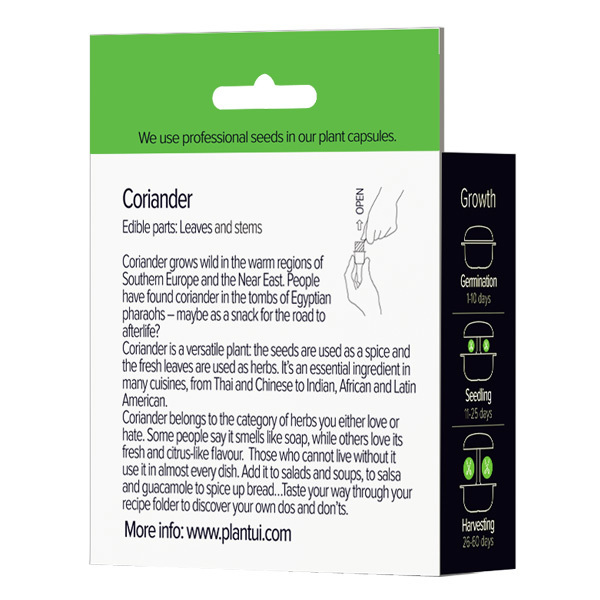 It’s a versatile plant: the seeds are used as a spice and the fresh leaves are used as herbs. It’s an essential ingredient in many cuisines: Thai, Chinese, Vietnamese, Indian, Turkish, Spanish, Portuguese, North African, Mexican, Latin American, you name it. Coriander is an herbs you either love or hate. 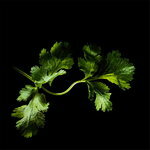 If you are one of the lucky ones with a deep love for coriander, you can use it in almost every dish. Add it to salads and soups, to Chinese and Thai dishes, to salsa and quacamole to spice up naan bread… Taste your way through your recipe folder to discover your own dos and don’ts.